Elaine Hancock (Olney, United States) on 19 March 2017 in Landscape & Rural. This is another farm that is close to where I live. 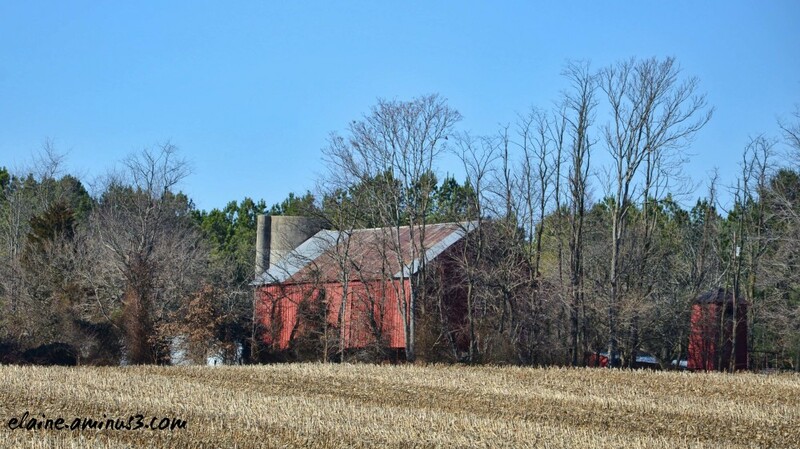 The barn and silo show up through the trees. I wonder if silos are used anymore. The barn appears to be in pretty good shape. It looks kind of desolate in this winter view. Beautifully composed. Lovely shot of the old red barn. The structures look to be hiding there . .
Looks lovely wonder if you have stepped in here ?